BREAKING: Australia's rising terror threat has forced the closure of the region's two biggest military museums on the eve of Toowoomba's busiest weekend. 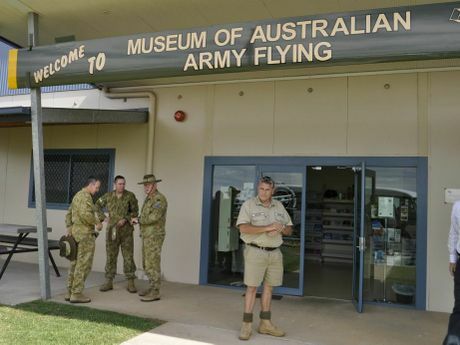 The Australian Army Flying Museum in Oakey and the Milne Bay Military Museum will be closed indefinitely until the terrorism threat has eased. Staff at Milne Bay were given their marching orders this afternoon just minutes before the decision to close Oakey's nation-scale museum was made. "We knew if it went up higher we would have to close, because we're next door to a military base," Milne Bay president Marian Jones said. "It's a shame, because we work hard on our gardens before the Carnival of Flowers." The museum sits beside the 210 Squadron Australian Air Force Cadets' home site at the Army Reserve Centre on O'Quinn St. The Department of Defence would not give specifics but issued a media release explaining its nation-wide tightening of security. 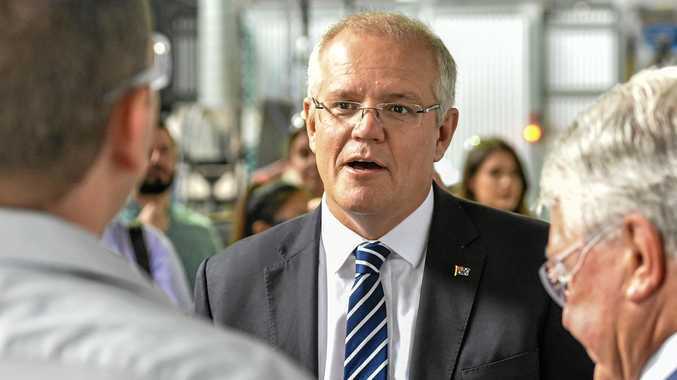 "As a precaution, and consistent with the change of the National Terrorism Public Alert Level to 'high' following advice from the Director General ASIO, Defence has raised the security alert level at bases and establishments across Defence," it said. "Defence's protective security system caters for the unique arrangements required by Defence and operates separately from the public alert system. "This system offers a graduated scale of security options to allow Defence to respond appropriately to changes in the threat environment." Council has been told security measures in place at Toowoomba Airport are sufficient for the time being, but staff have been encouraged to be extra vigilant. "None of us, in any walk of life, should be complacent," Cr Carol Taylor said. "If anyone sees something they think is odd, I would encourage them to report it. "But we have to keep on living our lives. As they say: be alert, not alarmed." In a related scare, police were called to the University of Southern Queensland on Thursday after a bomb threat was received. The hoax call was received at the same time 3000 primary and secondary school students were at the university for the TYME music education festival. Members of the public can report suspicious activities to the National Security Hotline on 1800 123 400.